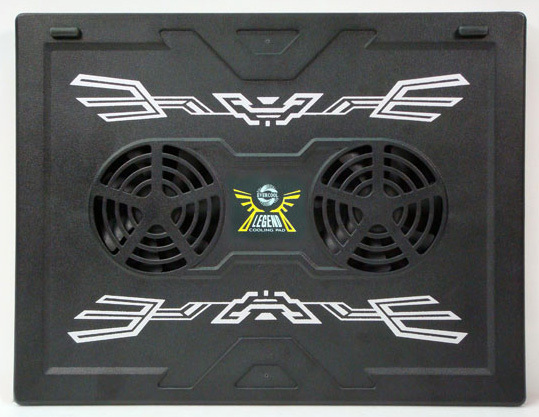 If you need a notebook cooler that is lightly, thinly, and easy to carry about it, then look no further then the Evercool Legend Notebook Cooler! Utilizing twin 80mm high performance fans and a quad solid wind gap to quickly dissipate heat from your laptop, the Legend is a legend of stability. The Legend is powered via your laptop’s USB port so it requires no batteries or external power sources. But quite possibly one of the best features of the Legend is its ancient totem design that actually increases the aesthetics of vision!!! Eyes?